Nicolas Mansard (CNRS) is CNRS Resarch Director. He received the MSc in computer science of University of Grenoble in 2003 and the PhD in robotics of University of Rennes in 2006. He was then post-doctoral researcher in Stanford University with O. Khatib in 2007 and in JRL-Japan with A. Kheddar in 2008. He was invited researcher in University of Washington with E. Todorov in 2014. He received the CNRS Bronze Medal in 2015 (one medal is award in France in automatic/robotic/signal-processing every year). He was coordinating French project Entracte that was awarded of the ``Grand Prix du Numerique de l'ANR'' (one price awarded for all French ICT projects over the last 3 years). His main research interests include the motion generation, planning and control of complex robots, with a special regard in humanoid robotics. His expertise covers sensor-based (vision and force) control, numerical mathematics for control, biped locomotion and locomotion planning. He published more than 70 papers in international journals and conferences and supervised 10 PhD thesis. He is the responsible for CNRS of the European Robotic Challenges (EUROC) and the coordinator of the French project Entracte. Olivier Stasse (CNRS) is a CNRS Research Director in the Gepetto team at LAAS, Toulouse, France. He received the PhD in robotics of University of Paris VI in 2000, and the habilitation of University of Toulouse III in 2013. His main research topic is reactive and vision motivated motion generation for humanoid robotics. He is associate editor at Robotics Automation-Letters and the International Journal of Humanoid Robotics. He is animating the technical group on humanoid robotics in the French Research Group in Robotics. 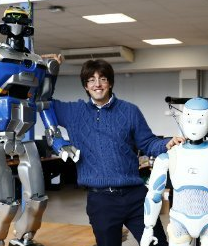 He is recognized as one of the best experts in Europe for implementation of walking and whole-body behaviors on real full-scale humanoid robots. 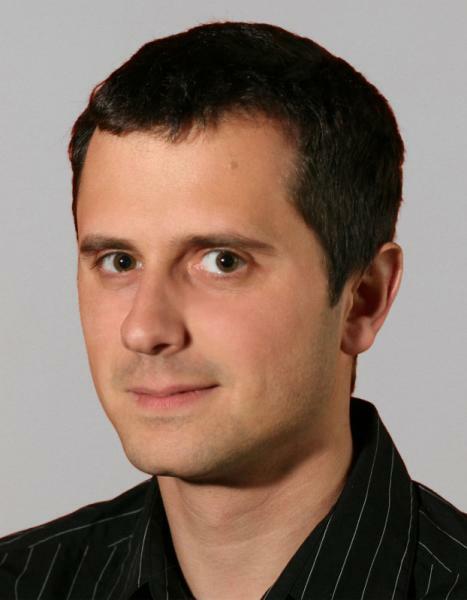 Joan Sola (CNRS) is an associate researcher from IRI Barcelona. He received is PhD in Robotics from Univ. Toulouse in 2007. His research focuses on localization, mapping and state estimation for mobile robots. He is the lead developer of WOLF, an open-source framework upon which the CNRS team is basing the localization of the humanoid robot. He supervised the activities in estimation for the Humanoid experimental setup of the Memmo project. The expertise relevant for the project covers computer vision, inertial measurement, and optimal filtering based on nonlinear optimization. 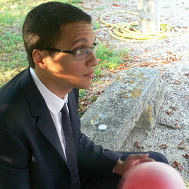 Thomas Flayols (CNRS) is a PhD candidate at LAAS/CNRS in the Gepetto research team. He graduated from the Ecole Normale Supérieure de Cachan (2015) in Embedded Systems and Information Processing. His research focuses on the state estimation and torque control of legged robots. He has a particular interest in analyzing the impact of technology choices on high-level control structures. 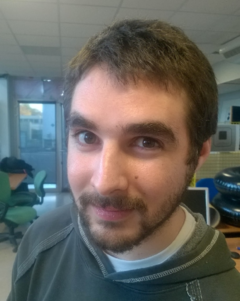 Justin Carpentier (INRIA) is a postdoctoral researcher at INRIA Paris in the team of Jean Ponce and Francis Bach. He is a former postdoctoral researcher at LAAS/CNRS in the Gepetto research team. He obtained a PhD in Robotics from Université de Toulouse in 2017. His research lies at the interface between Robotics, Machine Learning, Optimization and Control. It is devoted to the embedding of Optimal Control theory inside the formalism of Machine Learning, with Humanoid Robotics as a main target application. 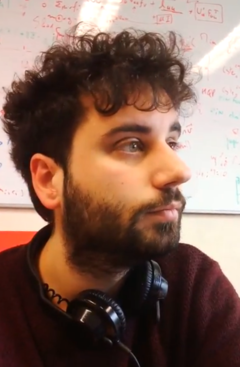 Carlos Mastalli (CNRS) is currently a Robotics Researcher in the Gepetto Team at LAAS-CNRS working on the topic of multi-contact planning and control in legged robots. He received his M.Sc. in Mechatronics, from Simon Bolivar University in 2013, working on a machine learning method for autonomous backhoe machines. After that, he completed his Ph.D. on “Planning and Execution of Dynamic Whole-Body Locomotion on Challenging Terrain” in April 2017 at Istituto Italiano di Tecnologia. He is also improved significantly the locomotion framework of the HyQ robot. He main motivation is to enable move everywhere. His research pivots around the combination of the optimal control formalism with the beneficts of machine learning in order to unveil an unified, yet tractable, method for legged locomotion. 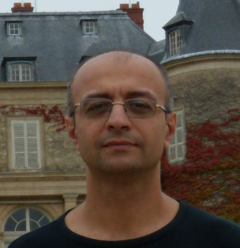 Hassan Hassan (CNRS) is a research engineer at LAAS-CNRS, IT department. He received his PhD in Computer Science from Toulouse university in 2006 and joined the CNRS in 2008. His activities include project management and IT infrastructure development. 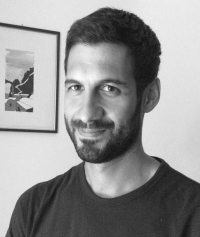 Antonio Paolillo (Idiap) is a post-doc researcher at the Idiap Research Institute. Previously, from 2015 to 2017, he was post-doc at CNRS-UM LIRMM (Montpellier, France). In 2015, he has been a visiting researcher at the CNRS-AIST JRL (Tsukuba, Japan). In the same year, he received his PhD in System Engineering from Sapienza University of Rome (Italy). In 2014, he was a visiting scholar at LIRMM and, in 2010, a visiting student at Örebro University (Sweden). His research interest is focused on robotic control, estimation, physical interaction and learning. Teguh Santoso Lembono (Idiap) is a PhD candidate at Ecole Polytechnique Federale de Lausanne (EPFL) and a researcher at Idiap Research Institute. He obtained his Bachelor of Engineering in Mechanical Engineering from Nanyang Technological University in 2012, and Master of Science in Mechanical Engineering from National University of Singapore in 2016. His research interests include machine learning, optimal control and motion planning. Maurice Fallon (Oxford) is a Royal Society Research Fellow at the Oxford Robotics Institute (University of Oxford). His research is focused on probabilistic methods for localization and mapping. He has also made research contributions to state estimation on legged robots and is also interested in high dimensional motion planning and manipulation for walking robots. From 2013-2015 he was the perception lead on MIT's DARPA Robotics Challenge team - a multi-year competition developing technologies for semi-autonomous humanoid exploration and manipulation in disaster situations. He co-leads the Dynamic Robot Systems Group in ORI. Ioannis Havoutis (Oxford) is a Departmental Lecturer in Robotics at the Department of Engineering Science of the University of Oxford. He is part of the Oxford Robotics Institute (ORI) and a co-lead, of the Dynamic Robot Systems Group. He leads the research direction of robotic legged locomotion as his expertise lies in the design and implementation of algorithms that enable autonomous legged mobility. Previously he worked on learning complex skills by demonstration at the Idiap Research institute, while before he led the locomotion group within the Dynamic Legged Systems lab (HyQ team) at the Department of Advanced Robotics, IIT. His focus is on approaches for dynamic whole-body motion planning and control that allow robots with arms and legs to robustly operate in a variety of challenging domains. 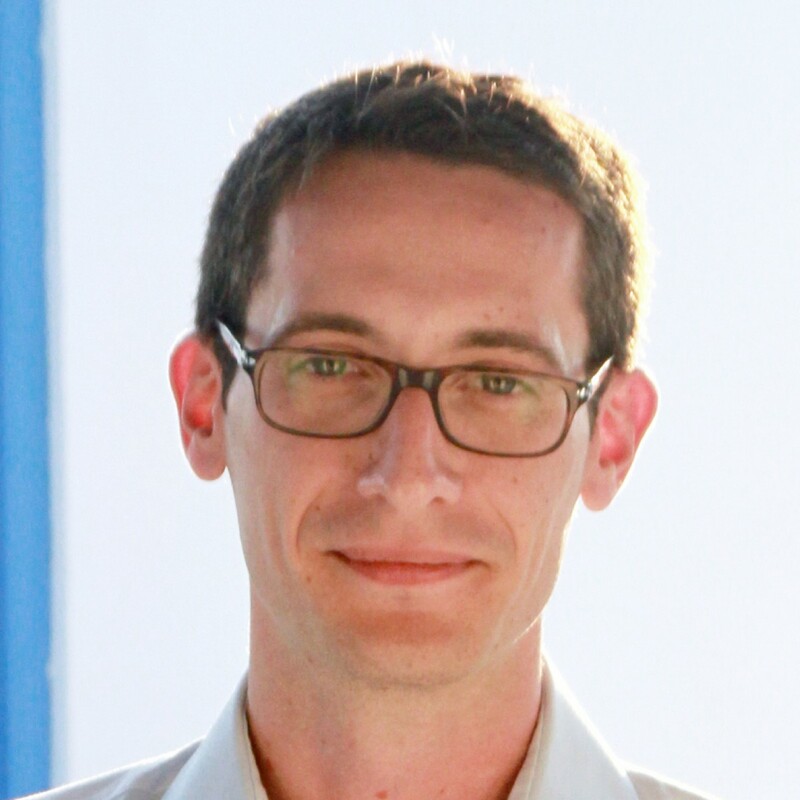 Mathieu Geisert (Oxford) received his M.Eng in Aerospace from Institut Superieur de l'Aeronautique et de l'Espace SUPAERO (Toulouse, France) in 2013, and his Ph.D. in Robotics, GEPETTO Group, LAAS-CNRS (Toulouse, France) in 2018. His research interests focus on Optimal Control and Machine Learning for humanoid robots and UAVs. Ludovic Righetti (MPI) is an Associate Professor in the Electrical and Computer Engineering Department and in the Mechanical and Aerospace Engineering Department at the Tandon School of Engineering of New York University and a Senior Researcher at the Max-Planck Institute for Intelligent Systems (MPI-IS) in Tübingen, Germany. He studied at the Ecole Polytechnique Fédérale de Lausanne (Switzerland) where he received an engineering diploma in Computer Science in 2004 and a Doctorate in Science in 2008. Between March 2009 and August 2012, he was a postdoctoral fellow at the University of Southern California. 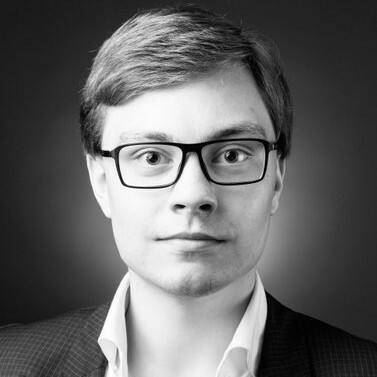 In September 2012 he started the Movement Generation and Control Group at MPI-IS. 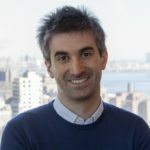 He joined NYU in September 2017 but is still affiliated with MPI-IS where he leads the ERC StG CONT-ACT and the MEMMO projects. His research focuses on the planning and control of movements for autonomous robots, with a special emphasis on legged locomotion and manipulation but he is more broadly interested in problems at the intersection between decision making, automatic control, optimization, applied dynamical systems and machine learning. Andrea Del Prete (MPI) is a Senior Research Scientist at the Max-Planck Institute for Intelligent Systems (MPI-IS) in Tübingen, Germany. 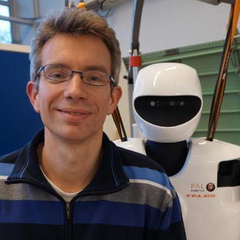 From 2014 to 2017 he has been an associated researcher in the Gepetto team (LAAS-CNRS, Toulouse), where he has been working with the humanoid robot HRP-2. Before going to LAAS he spent four years (3 of PhD + 1 of post-doc) at the Italian Institute of Technology (IIT, Genova, Italy), where he worked with Lorenzo Natale and Francesco Nori on the iCub humanoid robot. His research focuses on the use of optimization algorithms for control, planning and estimation of legged robots. 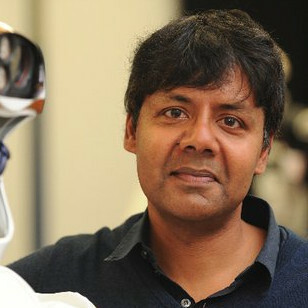 Professor Sethu Vijayakumar FRSE (UEDIN) holds a Personal Chair in Robotics within the School of Informatics at the University of Edinburgh and is the Director of the Edinburgh Centre for Robotics. Since 2007, he holds the Senior Research Fellowship of the Royal Academy of Engineering, co-funded by Microsoft Research and is also an Adjunct Faculty of the University of Southern California (USC), Los Angeles and a Visiting Research Scientist at the ATR Computational Neuroscience Labs, Kyoto-Japan. He has a Ph.D.(1998) in Computer Science and Engineering from the Tokyo Institute of Technology. Prof. Vijayakumar previously held the position of the Director of IPAB (2005-2015), Reader (2007-2010) and Lecturer (2003-2007) at the University of Edinburgh, a Research Assistant Professor ('01-'03) at USC and a Staff Scientist ('98-'00) at the RIKEN Brain Science Institute, Tokyo. His research interest spans a broad interdisciplinary curriculum involving basic research in the fields of robotics, statistical machine learning, motor control, planning and optimization in autonomous systems and computational neuroscience. His latest project (2016) involves a collaboration with NASA Johnson Space Centre on the Valkyrie humanoid robot being prepared for unmanned robotic pre-deployment missions to Mars. See here for a list of his publications [Google Scholar]. Sethu is a keen science communicator and in recent years, has been active in conceptualising, producing and presenting several public outreach events to engage with the general public and children on all things science and engineering. He is a Fellow of the Royal Society of Edinburgh and the winner of the 2015 Tam Dalyell Prize for Excellence in Engaging the Public with Science. He is the judge on the latest edition of BBC Robot Wars, a hugely popular technology show as well as involved with the launch of the BBC micro:bit coding initiative. Steve Tonneau (UEDIN) is a Lecturer in Robotics at the University of Edinburgh. Previously, he was a post-doctorate in the Gepetto team at LAAS. He defended his Phd in 2015 after 3 years in the INRIA/IRISA Mimetic research team. His research focuses on kinematic motion planning based on the biomechanical analysis of motion invariants. Applications include computer graphics animation as well as robotics. 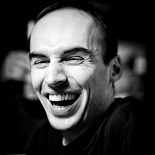 Vladimir Ivan (UEDIN) received his Ph.D. on the topic of Motion synthesis in topology-based representations at the University of Edinburgh where he is currently working as a Research Associate in the School of Informatics. He has previously received a M.Sc. in Artificial Intelligence specializing in Intelligent Robotics at the University of Edinburgh and a B.Sc. in AI and Robotics from the University of Bedfordshire. Vladimir has published over 20 peer-reviewed papers in top level conferences and journals. He contributed to several UK and EU funded academic research projects as well as industry-led projects with partners within EU and Japan and a collaboration with NASA-JSC. 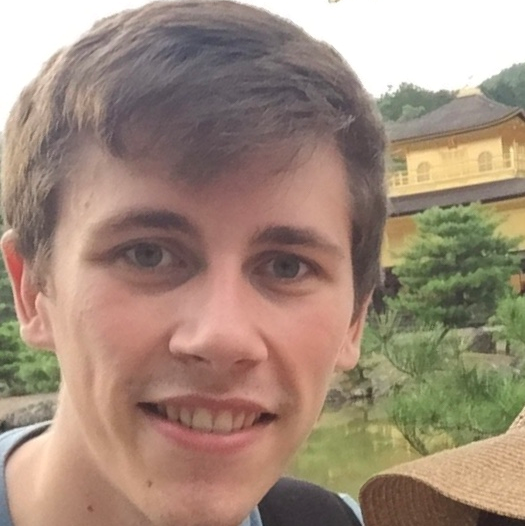 Wolfgang Merkt (UEDIN) is a a final-year PhD student at the University of Edinburgh focusing on optimal planning and control of high degree of freedom systems in closed-loop interaction with sensory perception supervised by Professor Sethu Vijayakumar. Previously, he completed a MSc by Research with Distinction in Robotics and Autonomous Systems and a 1st Class BEng (Honours) in Mechanical Engineering with Management. Earlier, he carried out research in industrial robotics applications for small and medium enterprises and. He founded a service robotics research group at the age of 14 developing a full-size kitchen robot and raised six-figure funding to enable high school students to research and participate in international competitions. 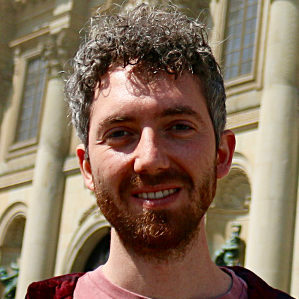 Daniel Gordon (UEDIN) is a third-year PhD student at the University of Edinburgh. Previously, he completed a MSc by Research in Robotics and Autonomous Systems with the Edinburgh Centre for Robotics and a 1st Class MMath (Hons) in Mathematics at the University of St Andrews. His research is focused on efficient techniques for analysis, design, and control of assistive robotic devices, particularly lower-limb exoskeletons and prostheses. 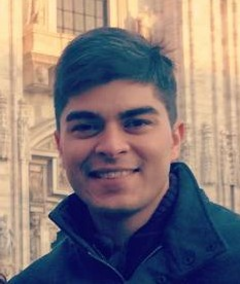 Traiko Dinev (UEDIN) is a student within the Centre for Doctoral Training in Robotics and Autonomous Systems at the Edinburgh Centre for Robotics working on machine learning for control in robotics. His interests include Reinforcement Learning, Control Theory and Optimization and specifically applying them to real-world problems, like robotics. He also has an affinity for Bayesian machine learning and statistics. Specifically, Traiko likes simple and interpretable solutions to machine learning problems; ways of transforming your data so you can see what's going on clearly as well as being able to then run more complex algorithms. 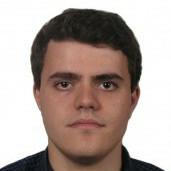 He previously completed his undergraduate studies at the University of Edinburgh in Computer Science and Electronics with a major focus on Machine Learning in the final two years, with his bachelor thesis focusing on Approximate Bayesian Computation.